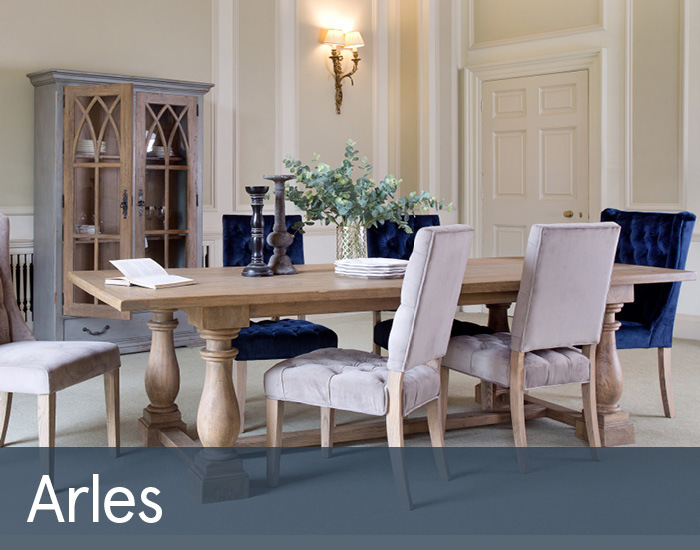 Arles is a stylish collection of luxurious dining and occasional furniture that will enhance any discerning living space. Following very much classic lines, each piece is carefully hand crafted from solid mango wood, some of which are painted in an on-trend grey colour. Each piece has a fashionable grey wash to help highlight both the grain and its elegant lines, also giving it a contemporary twist. A final lacquered coating means each piece can be wiped down for everyday practicality. This eclectic mix of furniture can be configured to create your own unique look.